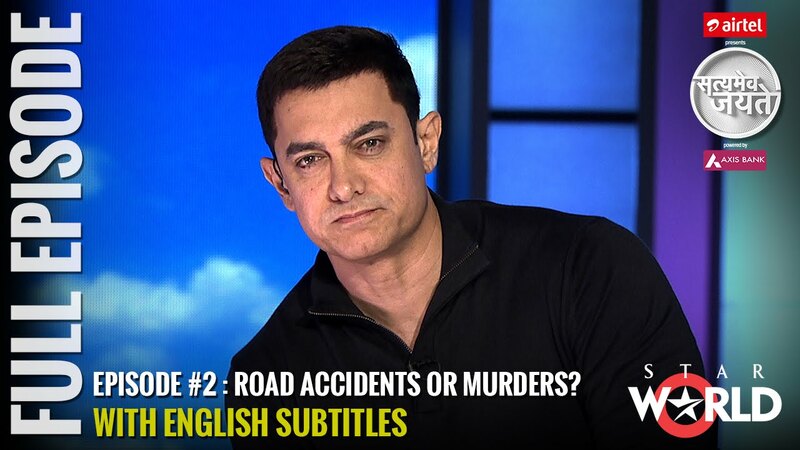 SATYAMEV JAYATE SEASON 3 | EPISODE 2 | ROAD ACCIDENTS OR MURDERS? On an average, 380 people are killed in road accidents every day in India. It’s a large number, yet there is little public outrage, or call for action. Episode 2 highlights how a majority of them cannot be dismissed as accidents – in fact they are murders. Aamir Khan speaks to affected families, road safety experts and authorities to examine why the numbers are so large, and what can be done to change this.